New technologies are disrupting the financial services industry, like they have in many other markets, whether Wall Street is ready for them or not. From peer-to-peer lending and robo-advisors to bitcoin and crowdfunding, financial technology or fintech is smashing old business models on its way to crowning new rulers in the world of money. And there is no turning back. It’s helpful to think about fintech companies as fitting into any of three main business verticals – lending, asset and wealth management, and payments, according to David Klein, CEO and co-founder of CommonBond, which he said allows his firm to provide lower cost student loans. 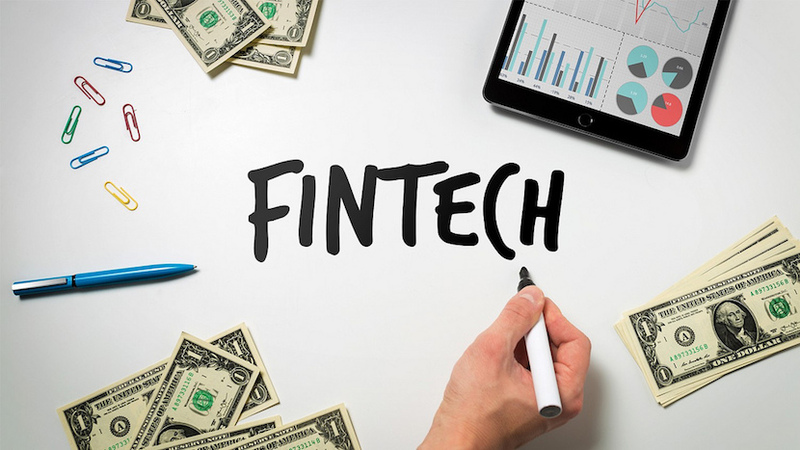 Layer on top three technology horizontals – front-end, middle ware and back-end – and pretty much any fintech company will fall into this grid, he said during a panel discussion among fintech disruptors and regulators at the launch event. CommonBond fits into the lending space. Klein’s own experience with hefty student loans led him to found a company that he said offers lower interest rates and improved customer service. The firm, he added, can offer a better deal by underwriting the loan risk, which the federal government does not do. It also has lower operating costs by not having any physical stores, unlike banks. “We don’t have bricks-and-mortar locations and we underwrite so that has allowed us to lower the rate of interest for students going to school or refinancing,” he said. Like Klein’s company, Square Capital is focused on meeting the unfilled needs of the end user. There are 30m small businesses in America and 24 million of them are sole proprietorships – think of the food truck, shoe repair shop, nail salon or beauty parlour – according to Jackie Reses, head of Square Capital. If they want to expand, many of these small businesses face big hurdles in getting loans from a major bank, which typically ask for volumes of paperwork and guarantees. “It has become a total crimp in U.S. economic growth,” she said. Access to financing is the lifeblood of any business, which uses funds for things such as working capital, inventory purchases and emergencies. If a flood closes down a shop for a few days, the impact could be severe. “Most businesses have only 17 days of working capital in their bank accounts,” Reses said. “Any unusual occurrence that happens could really put an end to a business.” At Square, 70% of its sellers can’t get capital anywhere else. The small entrepreneurs’ needs guide the strategies of Square Capital. “We start with the framework of what job we’re doing and what’s the help wanted,” Reses said. “I don’t sell loans. I help small businesses solve their cash-flow problems.” If Square just focused on matching what competitors were doing, it would end up offering a ‘me too’ product. Such a way of doing business is “very backwards-looking, not forward-looking,” she added. There’s another thing that seems backward to the folks at Square: the idea of a currency issued by a country. Founder Jack Dorsey thinks such a system feels “antiquated,” Reses said. “In a multi-country world that we live in, there’s no reason why a nation-state should actually control the movement of that capital going forward.” One way to wrest control of money from a central authority like a government is to switch from using fiat, or hard, currency to cryptocurrencies. Square’s Cash app already makes it easy for users to buy cryptocurrencies – with a simple swipe. Cryptocurrencies have the power to change the lives of people in countries with substandard, inadequate or corrupt financial systems. “What we’ve seen in the last 10 years is the birth and growth of an open source monetary system that allows those people to opt out for the first time,” said Robby Gutmann, CEO of New York Digital Investment Group, a digital asset management firm. For example, cryptos could preserve the income of a taxi driver in Venezuela who has seen the bolivar sharply devalued. Robby Gutmann said the crypto world falls into two buckets. The first pertains to the use of cryptos, which he said is expanding albeit slowly. The second relates to investments in cryptos. Over time, he believes, the two will converge. He also identified two phases for the cryptocurrency. It is currently in phase one where it functions as a “bridge asset,” he added. Cryptos can’t be used directly to buy most goods and services; they still need to be converted into hard currency and vice versa. Phase two comes when local currencies are replaced by cryptos, he said. Gutmann said it is hard for him to imagine the developed world mass-adopting cryptocurrencies. The existing financial systems work well for most people and so there’s less motivation to change. Any change also needs the participation of banks and institutional investors. But for developing nations, cryptos could solve some tough problems and thus be more quickly adopted. Instead of waiting for new laws to be minted that apply to these new technologies, the SEC gets guidance from history. “We have found a way to find decades-old laws and Supreme Court cases and apply them to new technologies and new assets,” Roisman said. For example, to determine whether a crypto is a token or a security, it looked at the Supreme Court case SEC v. Howey in the 1940s. The ruling in the case defined a security: It is an investment of money in a common enterprise with a reasonable expectation of profits based on the efforts of others. But Klein said there’s still a big regulatory gap that makes it hard for startups to scale like the incumbents. For example, CommonBond can’t compete with big banks when it comes to access to capital. Banks have a source of cheap capital in the form of customer deposits — it pays very little interest to the bank customer and turns around and lends the money out at a higher interest rate. Companies like CommonBond cannot get capital this cheap to lend out. It has to offer higher rates to savers to lure them away from banks, which enjoy their trust because they’ve passed stringent government requirements. But until the regulatory framework gets there, the best scenario is for startups and incumbents to work together since they each want what the other has. “Unless and until we get to that point, I believe there is an opportunity for incumbents to take the best of both worlds, partner in some capacity [with disruptors], and make finance better for the end consumer,” Klein said. Previous PostA Spring Before Bitcoin (BTC) Rally To $50,000 As Brian Projects?